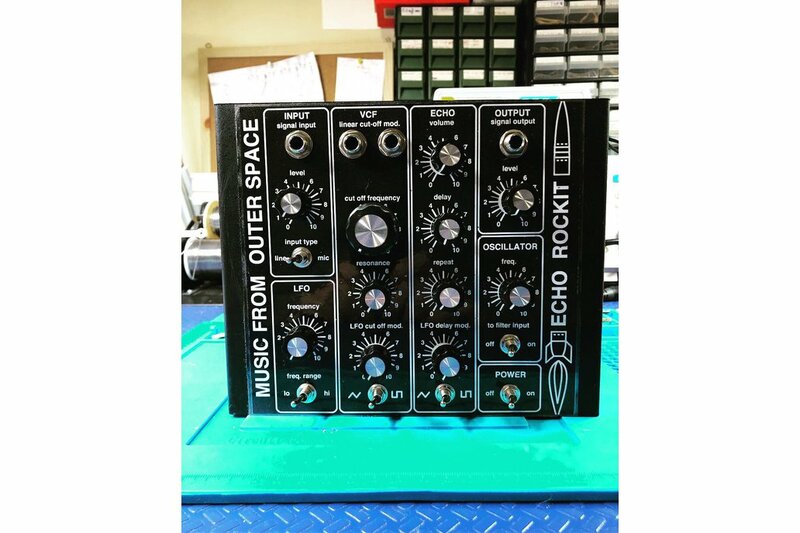 The echo Rockit (originally designed from Ray Wilson of MFOS) is a sound processor which can be fed by microphones, guitars, keyboards, synths, CD players and any other sound sources. 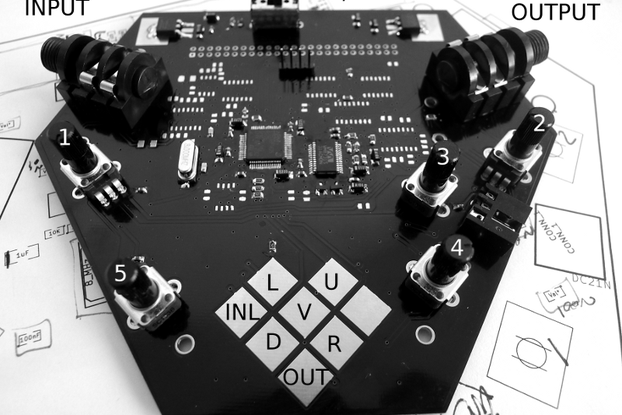 Signals are filtered by a resonant 12db/oct, voltage controllable low pass filter, and can be addressed through an echo delay effect as well with delay time and repeat controls. 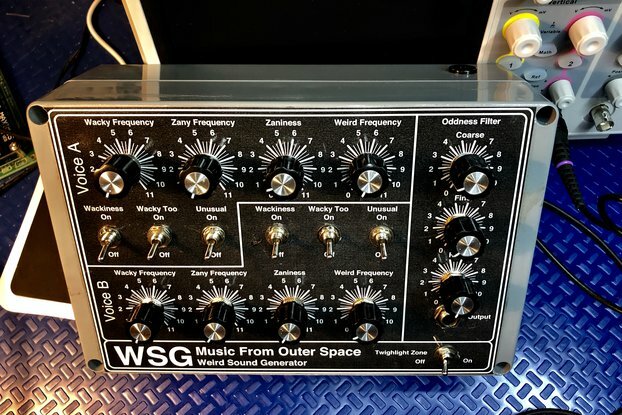 The cool feature of the device is that you can play it even if you don’t put any external sound source into the input because there are internal sound sources, one square wave oscillator and a sine wave which can be produced by the filter’s auto oscillation (with resonance control set almost fully clockwise). The internal LFO, that modulates the filter cutoff and the delay time control, can be set in audio range, producing very interesting effects when applied to the filter with high resonance. Both saw and square waveforms are selectable. The lfo modulation is set by individual potentiometers for every destination. I think is a fantastic companion for every music related device, with the advantage of producing it’s own music as well, that’s why I like it and I build it. 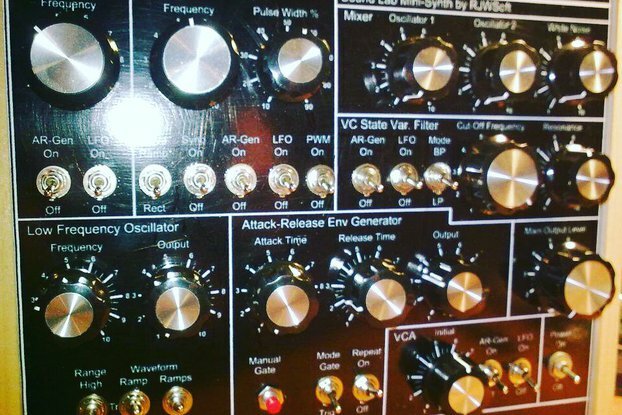 It’s not a simple effects for voice, guitars or whatever, it’s an analog synth on it’s own for less than the price of a branded commercial single effect! Personally I’m very satisfied and enjoying it every time I power it up, sonic possibilities are endless! Ask for custom requirements (jack dimensions and type) and other options! Thank you.